Wood decay is a natural process; therefore windows from this natural material often fail over time. If we ensure proper care for them, the operational period can be significantly extended. Mold and fungi have a destructive effect on wooden windows, but they only develop in a favorable environment for existence. It is directly related to high humidity. If the windows are constantly wet, the wood does not dry out, then the appearance of fungus and rot is a matter of time. Some fungal colonies scatter spores into the environment at regular intervals, so they spread quite quickly and everywhere, where living conditions are suitable. Windows should be coated with varnish and special formulations so that the spores would not be able to penetrate into the wood fibers, because otherwise the integrity of the windows will be broken in a short time. 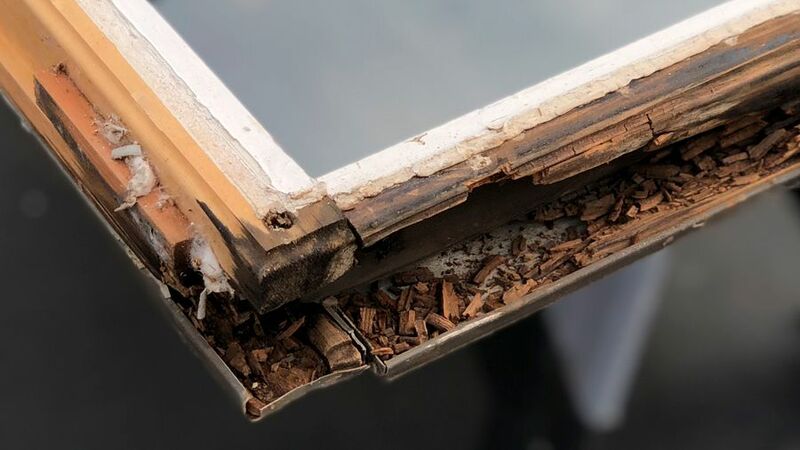 If the windows do not breathe, that is, the ventilation system is broken, and then condensate will accumulate inside the frame, creating favorable conditions for the development of the fungus. High humidity is very important for the growth of spores, so the windows that are constantly in a damp environment will not have a long service life, since they will simply be destroyed by the fungus. If condensate accumulates inside the window unit, this will create ideal conditions for the reproduction of the fungus. It is important to ensure that the windows are well ventilated and at the same time were sealed. Air temperature is important. It is noteworthy that the fungi multiply even at temperatures close to negative, so you need to fight them, regardless of the region of the location of the windows. High temperature significantly increases the rate of development of fungus, as well as rotting wood windows, but also of great importance is the high humidity, which should also be taken into account. For example, if a gutter is improperly fixed or leaking, then an enormous amount of water will fall on the windows, absorbing into the raw natural material. In the future, drying it will take a lot of time, but in this time period fungi may appear and begin to adversely affect the windows. It is important to ensure that the drainage of rainwater and snowmelt water is correctly implemented, and the windows once again are not in contact with the wet middle. Sills and slopes should be implemented so as not to accumulate water on its surface. You also need to use good paint so that the windows are resistant to high humidity. If you suddenly find signs of rotting wooden windows, then you should not ignore this phenomenon - you need to take appropriate measures. First of all, it is necessary to eliminate comfortable living conditions of the fungus, and also to process the windows with special mixtures. It will be quite difficult to provide such prophylaxis on your own, so it is sometimes worth contacting specialized companies. After that, a specialist will come to the object, inspect the windows and be able to outline a plan of upcoming work, determine the cost of cooperation. It is important to understand that the fight against rot and fungus should be done in such a way as to prevent the subsequent development of spores. If the roof leaks in the building, then the humidity will also be increased and will contribute to the rotting of the wooden windows. If you identify such a defect, it should be immediately eliminated.